SU: We have to ask this, or we’ll get yelled at: Draco Malfoy. (JKR: Yeah?) did he graduate, and who did he marry? It wasn’t Pansy right? Or was it? SU: (laughs) No, it’s awesome! JKR: Yeah, he married Astoria Greengrass. SU: Really? Check her name. Love it! JKR: Younger sister of Daphne, so she’s two years younger then he was at Hogwarts and you- yeah, anyway, there you are, that’s who he marries. MA: Speaking of Gryffindor- students, do you have the name of those two Gryffindor girls? JKR: Do you know what? I swear to you, I will find the damn notebook, (ma laughs) and I will put it on my website. I will put it on my website, (SU: Woo hoo!) that will be my gift to you. JKR: No, are you mad? (All laugh) (SU: That’d be awesome.) That’s for the Scottish Book. No. JKR: Just the two names. I will put two names up. MA: It’s just so funny because this thing has been- you know, it’s been, like, five years or something, just that question. JKR: Yes, it’s been- exactly. We’ve been talking about that for four years, I think it is now. JN: I’m sure it’s not going to shatter the Earth, or anything, once we figure out who it is. MA: Yeah, it’s just a funny little…you know. JN: Yeah, okay. So, most important question: did they sample a recording of your dog for when they did your website? SU: John, listen to you! JKR: You know what, I think they did! (ma sighs) My website is really- that’s not my wallpaper, I would really like the opportunity to say my taste is not that bad. (su laughs) That’s not good wallpaper. SU: Awesome! (applauding) Thank you Jo! JN: Do you actually have a “Do Not Disturb” sign? JKR: Do you know what, I now do, because I took one out of the Balmoral Hotel where I finished Deathly Hallows. JKR: So I’ve got a- I now have a “Do Not Disturb” sign from that hotel on the door of my study, yeah. JN: I don’t know if you recognized, when we gave you that little basket in New York, we had done up some “Do Not Disturb” signs, (JKR: I noticed!) in the same design of your site for everybody. JKR: It was very, very, very cool, thank you. It was great seeing you all there. That was the best event I’ve ever done. I loved that event. JN: That was so much fun. JKR: Do you know, the sense of liberation, I cannot- no one, no one, and I mean that. maybe Stephen King. Stephen King maybe knows what it feels like, but I think that anyone who can im- I mean how- you cannot imagine what it feels like, after seventeen years, to be finished, both in a good way and in a bad way. It was so much part of my life. Now I know that millions of people feel huge ownership over the world now, and that’s a wonderful thing that they do. They simply can’t feel it the way I felt it. I know where I was when I wrote every part of those books. I know where I was when I thought of Quidditch, and made up Professor Sprout, and all of these things inextricably linked with stuff that was going on in my life at the time, and Harry really saved me during some bleak moments in my life, so it’s been massive saying goodbye. But the upside, you saw the upside at Carnegie Hall, and that was- you can ask me, readers can now ask me anything and I don’t have to say “You’ll find that out in Book Five,” “I can’t tell you that, (SU: Yeah!) it’s important for the ending of Book Seven”, “Oh, what a good question! (JN: Yeah!) What a shame, you’ll find out in the next book.” You know, all that rubbish which I never- no author wants to be constantly putting people off, when it’s very flattering that they want to know, but equally, you know, the author knows how much pleasure you’ll be ruining if you do spill the beans, three years early. (SU: Right.) (JN: sure.) So yeah, but that night, I was on a roll, you’re right, because I had the best questions and the most amazing crowd turned up, they were- that was a really magical night for me. Hmm, magical, the adjective that is most often used in connection with )Harry Potter. (ma laughs) Well, it’s such a clichÃˆ, but it was, that night was. MA: (laughs) We’ll just call it the Love room. JKR: No, no, no, I think what’s in the Love room, it’s the place where they study what love means. So that room, I believe, would have at its center a kind of fountain or well containing a love potion, a very powerful love potion. You know that the first time they ever enter Slughorn’s Potions (SU: Yes.) class, and he starts talking about Amortentia, the love potion, and he says it’s the most dangerous one in the room, well, that’s what they would have found in the Love room. SU: Wow, that’s so awesome. You know, you mention the movies. Somebody who’s most amazing in the movies is Alan Rickman as Snape. SU: How- he’s so good. How soon did you tell him about his character? I mean, how much did he know? Did he know? JKR: He knew very early on that he’d been in love with Lily, because I told him so. (su sighs) We needed to have a conversation early on. He needed to understand, I think, and does completely understand and did completely understand where this bitterness towards this boy who’s living of her preference for another man came from. (JN: Yeah.) (MA: Hmm…) Yeah, I told him that. He was the only person who knew that for a long, long time. SU: He’s so good. You know, Snape is so amazing, was he truly meant to be in Slytherin, Snape? JN: Well, sue, you had started to get into the movies, and (SU: Yeah.) Jo was talking about being involved here and there in things. One of the things that I know a lot of fans are talking about, and it’s something that is sure to sustain all of the excitement and fun from Harry Potter, is the upcoming theme park attraction in Orlando. JKR: How strange you mention that. I was just looking at some things to do with that right before the auction happened this morning. So I’ve been looking at stuff (MA: Oh!) to do with that today. SU: Yeah. Care to share? JN: We’ve all been wondering how involved- where you’ve been involved with. I know there’s been rumors about some kind of theme park sort of thing happening for years. (JKR: Mm-hm.) To announce this one when they did recently, and everybody’s dying to know what to expect and how much of it is going to have the Jo touch. JKR: I would have to say a lot of it’s going to have the Jo touch because I’ve been very, very, very involved. Which has been amazing. And Universal, I think I’m right in saying, and I know I may sound confused, but it is a very confusing issue. But I think I’m right in saying that these rights were Warner Bros., and not mine. However, Warner Bros. asked me, “Did I want it to happen?” And I think they have been amazing in that respect. As the underlying creator, as it’s known in legal terms, as the underlying creator of the series, they came to me and they asked me what I felt about it and we- there were a few things that I really wanted to happen if it went ahead. And the key, the key thing for me was that, if there was to be a theme park, that Stuart Craig, who is the production designer on the films, would be involved. I mean, more than involved, that he would pretty much design it. (JN: Yeah.) Because I love the look of the films; they really mirror what’s been in my imagination for all these years. And I just think he’s done an incredible job. And he’s an Oscar-winning, (SU: Yeah.) very well-known guy in the industry, so it’s not just me who thinks that. And he did consent to get involved, so I truly think that walking into the theme park will be as close as you will ever get to walking onto the film set, or to walking into Hogsmeade. Better, of course, because it’s 3D, and you can walk around the corner and look at the back, and it’s going to be quite incredible. I really believe that, and personally, I think it will be the best thing in the world of its type, having seen what I’ve seen. JN: Definitely. We’ve been studying those pictures that they put out of that artwork and we’re all very, very excited. JKR: It’s extraordinary. I can’t, obviously, I can’t go into detail about what they’re going to do, but they’re…I’ve really (JN: Yeah.) seen a lot of stuff, and I think it’s going to be wonderful and very well done. And I think that fans will not be at all disappointed. Quite the reverse. JKR: Yes, it’s going to be a difficult job, though. (ma laughs) I think there’s going to be a fair amount of traffic. You might want to rethink that one. MA: Yeah. (ma and JN laugh) For like a day. (ma and JKR laugh) (JKR: Yeah.) We’ll make some butterbeer, take a picture, and (laughs) it’ll be done. I had to ask you. It’s a little thing. It’s just been on my mind. What happened to Florean Fortescue? MA: Can we talk about wandlore a little bit? JKR: Absolutely. Oh, thestrals (SU: Yes.) I noticed there was immediate angst about the fact that there was thestral hair in the middle of the Elder Wand, because people were saying, “But Hagrid bred thestrals.” But he didn’t. He just bred the Hogwarts thestrals. (JN laughs) Just to make that clear. JN: Come on people, (ma snickers) there’s a bigger world out there than Hagrid’s backyard. JKR: Yeah, exactly. The only thing Hagrid has ever created are Blast-Ended Skrewts, (JN laughs) and I think we can all agree that he should never attempt to create species ever again. So no, he didn’t create dragons or thestrals, but he may have bred particular members of the species. JN: I’ve been told my Patronus is a Blast-Ended Skrewt. (SU: That’s what I think it is.) I don’t know what that says about me. JKR: I think of one thing it might say about you, (ma and JN laugh) but I’ve never been in a room long enough with you to be able to tell. SU: Oh! Yes! Jo, (ma laughs) that actually holds true, too. He loves burritos. (JKR: Does he really?) Just saying. JKR: Let’s not go there. You’re absolutely right. MA: Aw, don’t with the burritos! SU: That’s a PotterCast thing. We love food on the show, (MA: Unfortunately.) we talk about food a lot. MA: Quite a lot. But wandlore. Can you go into in a more detailed fashion the way wands change hands, and how different the Elder Wand is? Because the fans are confused. JKR: I am going to put up another update on my website about this, and I have one half-written. Essentially, I see wands as being quasi-sentient. I think they awaken to a kind of- They’re not exactly animate, but they’re close to it, as close to it as you can get in an object, because they carry so much magic. So that’s really the key point about a wand. Now, the reactions will vary from wand to wand. The Elder Wand is simply the most dispassionate and ruthless of wands, in that it will only take into consideration strength. So one will expect a certain amount of loyalty from one’s wand. So even if you were disarmed while carrying it, even if you lost a fight while carrying it, it has developed an affinity with you that it will not give up easily. If, however, a wand is won, properly won in an adult duel, then a wand may switch allegiance, and it will certainly work better, even if it hasn’t fully switched allegiance, for the person who won it. So that, of course, is what happens when Harry takes Draco’s wand from him. And that’s what happens when- But you know what I mean? (MA: Mm-hm.) (SU: Yeah.) Oh yeah, Ron, (MA: Yeah.) the Blackthorn wand, from the snatcher. So that would be sort of rough and ready, common or garden, a wand favoring the person who had the skill to take it, it would favor them. However, the Elder Wand knows no loyalty except strength, so it’s completely unsentimental. It will only go where the power is. So if you win, then you’ve won the wand. So you don’t need to kill with it, but as it’s pointed out in the books, not least by Dumbledore, because it is a wand of such immense power, almost inevitably, it attracts wizards who are prepared to kill, and who will kill. And also, it attracts wizards like Voldemort who confuse being prepared to murder with strength. (JN: Interesting.) Does that clarify anything? MA: Step on it too badly? JKR: No, I don’t think so, I mean, I have been asked a lot of times, what about dueling club and so on? I think it’s clear there that in practice, where there’s no real weight attached to the transference of a wand, where it’s almost done for fun or purely for competition, there’s no enormous significance attached in either wizards mind, to a wand flying out of someone’s hand. But there are situations in which the emotional state of wizards, where a lot hangs on a duel. That’s something different. That’s about real power, and that’s about a transference that will have far reaching effects in some cases. So I think the wand would behave differently then. JN: Wow, did I not actually have a question? Was that just a joke? What a waste of everybody’s time. (Everyone laughs) I’m fired. (JKR: Go on.) Come on Melissa, save me. MA: (laughs) How much of the next generation do you have worked out? JN: Oh, this is too fun. MA: We can’t wait to see that! JKR: I hope you enjoy it! The reason for doing it was a lot of people had come to me and said, “We want to do a ‘Ten Years of Harry Potter’ special programme,” and they had all these different things. And for once I was ahead of the game, and a year previously, I had found a guy who I thought would just do a great documentary, a very honest documentary, someone I got on with well, which is James Runcie, and he’s also an author, so he really understood my life at a certain level that some interviewers don’t. So we were filming for a year, and it was good. This was a situation that I felt, as I do with the Scottish Book, that if you’re going to do it then it should be done right. And I wanted to do something hoenst, and it was very nice to be able to answer questions on screen looking back at the full experience, rather than still living the experience as it was going on. SU: I can’t wait to see it. I think it’s fabulous. I think people will be just thrilled. Thank you for doing it. JKR: Thank you. I think it will answer some questions, which will be good. It’s good to look behind the scenes, in a way, and you see my haircut change a lot in here. It’s very weird, looking back. JKR: I am. I’m sorry! JN: Don’t you dare apologize for anything. This has been amazing! JKR: I’ve really loved it. JKR: No, there’s not a chance it was Neil, and I know he won’t mind me saying that. MA: But yeah, 350 questions out of 400. JKR: That is very, very impressive. JN: What was his name Melissa? JN: Oh okay, good job Ricky, Carter. JKR: Yeah, good job. No, that’s excellent. You know, it would’ve been- I mean… (Sighs) People should have been able to guess a lot, otherwise I haven’t done my job properly, or I’ve cheated the reader. The clues were there. A lot of the clues were there. But I think there were surprises. I don’t think (SU: Yeah.) a lot of people expected Dobby… (MA: Or Hedwig!) but I had very good reasons for doing it. JN: Hedwig’s alive. Hedwig was part phoenix. (SU: Come on, Jo.) You haven’t heard any of this? JKR: Mm-hm. Great opening! So there are so many that start like that out there, there must be one out there somewhere, “My name is Hedwig. As I fell through the icy night sky…” Yes. JKR: No, that’s cool. The fun stuff is very, very, very funny. I have frequently laughed myself stupid reading some things. Letters I get are- Weah, they’re amazing. MA: Jo, will you promise to come back? JKR: Do you know what? I will promise that, because I would love to come back. I’ve had so much fun. SU: Thank you so much! (MA: Thank you so much.) Wow. JN: We’ve had an awesome time! JKR: It’s been great. I’ve had an awesome time, too. So I want to wish you a very Merry Christmas, or whichever other religious festival you are keeping. JN: Thank you. Well you know how we usually wrap the show up, Jo? We took a little inspiration from you, and we end it like we end Potterwatch. JKR: Oh, did you like Potterwatch? JN: We had very big grins on when we read about Potterwatch. JN: Poor Fred fans! We didn’t even bring up Fred. Whatever. Next time. SU: He has a pet armadillo named Fred, even. JN: I mean, I was torn up about Charity after all this, but… (JKR laughs) ‘Til next time guys, keep twiddling those dials. SU: Keep each other safe. 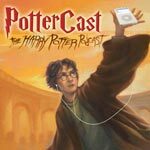 JN: This weeks’ PotterCast was produced by the PotterCast trio and Stede Bonnett. Thanks, as always, to our awesome Transcription Elves for transcribing this and all our other episodes on PotterCast.com. For more information about the show and how to contact us, and be a part of future episodes, visit PotterCast.com.